With summer just around the corner we know that you will be spending more time outside exposed to the sun’s warming rays. And until now, you have likely been conditioned to believe that it’s essential you lather up underneath gobs of sunscreen to keep you from burning up, and developing skin cancer. But did you know that the kind of sunscreen you use could actually be ruining your health, and that sunlight is actually good for you? In this blog we will share with you not only the importance of sun exposure to your health, but also how to choose the best sunscreens for when you do need to apply. Listen, we know the risks of getting in too much sun. An estimated 9,730 people will die of melanoma in 2017, according to the Skin Cancer Foundation, with every year bringing in more new cases of skin cancer than the combined diagnoses of cancers of the breast, prostate, lung, and colon. Over the past thirty years, more people will have had skin cancer than all other cancer types combined, and one out of five Americans will develop skin cancer in the course of a lifetime. Obviously, there’s definitely cause for concern when it comes to stepping out into the sun! Which is why our first instinct is to hide away in the shade and cover ourselves from head to toe in sun block. But in doing so, we actually rob ourselves of an essential micronutrient that we just cannot afford to lose. One that if deficient could actually give cancer the upper hand if we decide to become vampires and stay out of the sun! Free & Good for You and Me! 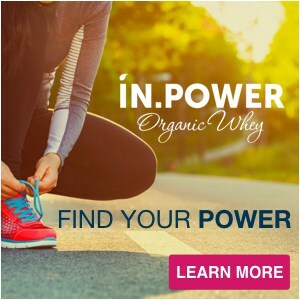 What’s one vitamin that reduces the risk of cancer, Alzheimer’s disease, diabetes, multiple sclerosis, osteoporosis, supports our immune system, acts as an anti-inflammatory, and has been scientifically linked to maintaining a healthy body weight ? We’ll give you a hint: it’s the only vitamin you can get both from food and your environment. Give up? It’s Vitamin D! The one vitamin that sun exposure produces for free. It’s true our biology makes this accomplishment possible! After getting direct exposure to sunlight, your body will naturally generate ample amounts of bioavailable Vitamin D (Calciferol). Pretty cool, right? Yet, not everyone is able to go outside and get their daily dose of this essential vitamin. In fact, according to the USDA only 4 percent of the entire US population over the age of 2 has an adequate intake of Vitamin D! Those who live at latitudes north of Atlanta (approximately 33 degrees north). Producing enough Vitamin D from sunlight becomes an impossible task to accomplish during the winter. Those who are overweight or obese. Did you get that last part? Anyone who continuously uses sunscreen! That means we all are susceptible to getting a vitamin D deficiency if we choose to slather! And the scariest part is the effects that start to unfold in the wake of this micronutrient deficiency. You’ve heard us say this before, but we are going to say it here again: We strongly believe that a deficiency in one or more of the essential micronutrients can ultimately lead to poor health and disease. And in this case of vitamin D, the consequences start to get pretty ugly. In our book Naked Calories, we go even more in depth into the domino like sequence of events that take place once you fail to sufficiently obtain enough Vitamin D.
The first blow is the impact of Vitamin D deficiency towards our calcium levels. Without enough Vitamin D, the absorption of calcium becomes compromised. What follows suit is a calcium deficiency, which will then lead to the poor absorption of Vitamin B12, ending with a deficiency in Vitamin B12. Finally, the absorption in all of the B vitamins and even Iron are drastically reduced, leaving you with an enormous set of deficiencies. 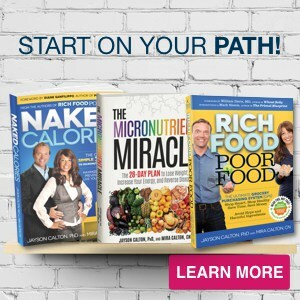 We could go on and on about what problems can arise from becoming deficient in all of those micronutrients, but it should be obvious by now that this destructive chain of events can all begin in the wake of just a single micronutrient! A Vitamin D deficiency can jeopardize your health. Now hang on for just a second, because while we now know the dangers of becoming deficient in an essential micronutrient like Vitamin D, it doesn’t mean we put aside our best judgment and overexpose ourselves to the sunlight. We still believe it’s important for you to be smart when it comes to how long you decide to stay out in the sun. But it’s also important to know that the sun is not the enemy here! It’s the choices we make everyday that can have an enormous contribution towards protecting us from poor health. If we can directly link a condition or disease to a micronutrient deficiency, then it can be prevented, or even reversed, through continued sufficiency of the deficient micronutrient. And supplements are a great insurance policy to keep us sufficient. We, along with many health professionals, suggest getting approximately 2,000 IU of Vitamin D each day from a supplement or your multivitamin. You can get this amount in our multivitamin, nutreince. And rest assured that while 2,000 IU is 500 percent of the RDI, it is definitely not enough to raise safety concerns. For example, a fair-skinned individual in Miami would probably need about 6 minutes of exposure to the sun in summer and 15 minutes in winter to make 10,000 IU of vitamin D.
From an ancestral perspective, you can imagine our ancestors spending most of their time out in the sunlight, always traveling around or working for survival. They’d constantly be exposed to the sun and getting in bountiful amounts of Vitamin D. Amounts that would blow the current RDI for Vitamin D out of the water. Our recommendation is but a fraction the quantity that our ancestors most certainly would have produced. So it’s safe to say that our body is accustomed to producing and utilizing higher amounts of Vitamin D without any issues. Micronutrients for Sun Safety – The Real Heroes! Did you know that there are other micronutrients that can keep you protected from the sun? 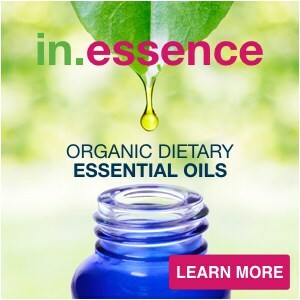 They are called “antioxidants” and these major game changers help us when it comes to optimal health. Vitamin B3 (Niacin): In the U.S., researchers found that adults with higher intakes of niacin just above RDA (from foods and/or supplements) were less likely to develop squamous cell cancer than those with lower intakes. Now, here’s the caveat – you can only tap into the power of antioxidants and use them to protect yourself so long as you regularly ingest them. We provided you the many different sources of food you can obtain these from in your diet, and would like to mention that you can get an added boost of them from supplementation (while avoiding so many of the natural anti-nutrients these vegetables also contain). Here is our 1 – 2 SUPPLEMENT PUNCH that supplies all of these sun-shielding nutrients! #1 – PUNCH OUT HARMUL RAYS INFLAMMATORY EFFECT WITH NUTREINCE. 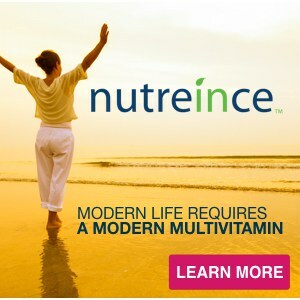 First, with nutreince, the first and only multivitamin using patented Anti-Competition™ Technology, you not only get improved micronutrient absorption and utilization, you get Vitamin A, Vitamin C, Vitamin D, Vitamin E, Selenium, Astaxanthin, Quercetin, CoQ10, and Alpha Lipoic Acid. #2 – PUNCH OUT HARMUL RAYS INFLAMMATORY EFFECT WITH ORIGIN OMEGA. 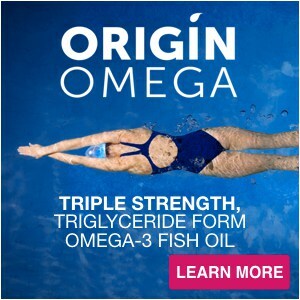 And for your Omega-3 Fatty Acids, there’s our Origin Omega Triple Strength Omega-3, which, like nutreince, uses patented Anti-Competition™ Technology to help you improve your absorption and utilization of Omega-3’s most important components, EPA and DHA. Combine a proper diet, using all of the foods we mentioned above, with our multivitamin nutreince and Origin Omega, and you’ve got the ultimate battle plan to combat inflammation through the awesome power of micronutrients! However, even with the right amount of antioxidants, the majority of people will still need to use a sunscreen from time to time. Even we use sunscreen before we have developed a base tan when we are going to lie in the sun for more than an hour or so. This brings us to another key component of sun protection: choosing not just the right kind of sunscreen, but one that is the healthiest. It is imperative that you learn to read the labels whenever it comes to buying food and supplements, and the same rule applies even to shopping for a sunscreen. While seemingly a simple choice, with sunscreen, you’re just one wrong decision away from making a mistake with enormous repercussions. A fantastic source of information on the latest, safest sunscreens is the Environmental Working Group, which publishes an annual guide featuring the results of their investigation into hundreds of different brands of sunscreen and assigns each a safety rating. According to their recent report, out of more than the 750 sunscreens they examined, almost three-fourths of the products offered inferior protection and/or contained numerous ingredients of concern. We’re sure you’ve noticed that there are so many different kinds of sunscreens to choose from – high SPF counts, claims of being natural or waterproof; so which do you choose! Even when using your best judgment the choice can be extremely confusing. We’re going to help you out and make sure you don’t wind up with the wrong sun protection. You don’t want to slip up on this one! Let’s look at the two competing types of sunscreen out there – chemical, and physical. Now that we’re on the subject of things to avoid, here are some extra ingredients we also advise you avoid. Retinyl Palmitate (Vitamin A Palmitate, and all derivatives of Vitamin A): Even though Vitamin A is an essential micronutrient, just because you need to ingest it everyday doesn’t mean it should be in your sunscreen. As the saying goes, there’s a time and place for everything. When retinol (Vitamin A) is combined with palmitic acid (which is an ingredient derived from tropical plants – namely palm and coconut) to form Retinyl Palmitate, it begins to break down once it’s exposed to the sun. Once this process begins, it becomes toxic, and wreaks havoc on our DNA. This can lead to a ton of damage, inflammation, and an elevated risk of developing cancer. HINT: Be mindful not to apply face creams or serums that contain retinyl palmitate before sun exposure either. But hold on for just a second, there is an important point we want you to be aware of before choosing one of these natural mineral sunscreens. You have to read the label, when you’re looking for a physical/mineral sunscreen check to see that it does NOT contain nano-particles (or nanotechnology). Nano-particles are smaller particles that occur in both Zinc and Titanium Dioxide, and can function similarly to chemical sunscreen ingredients (which are also very small) due to their particle size. 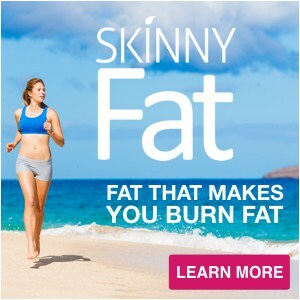 So make sure that your natural mineral product states that it contains non-nano ingredients. When in doubt, contact the company, or opt for a different brand. Other than this one point, these mineral based sunscreens are fantastic when it comes to protecting your internal health from outside, as they won’t create imbalances in your hormones, promote free radical damage, or cause inflammation like the chemical alternatives do. And another cool aspect of using non-nano zinc oxide powder for sun protection is the fact that you’re using the power of an essential micronutrient to keep you safe! Proving once again the power of the mighty micronutrient! At the end of the day, we should bear in mind the continued rise of skin cancer, and be aware that overexposure to the sun can be dangerous, but we don’t need to be afraid of the sun. The sun supplies you with a free and natural source of the essential micronutrient Vitamin D. We believe in a two-pronged system that allows us to enjoy the sun, produce natural Vitamin D, and protect ourselves from sunburn as well… So here it goes. Step 2: Allow your skin to be exposed to the sun (Vitamin D time! ), but stop or apply sunscreen before burning! Depending on your skin tone and how quickly you burn this could mean starting with as little as 5-10 minutes in the sun before applying sunscreen or for darker skinned individuals or individuals that don’t burn quickly ½ to 1 hour. Step 3: Choose a safe, healthy physical/mineral non-nano sunscreen such as zinc oxide or titanium dioxide. There you have it! Our recipe for vitamin D sufficiency and a great tan – see you on the beach!